Eight out of 10 women polled by the American Academy of Orthopaedic Surgeons said their shoes were painful. How tall am I? Honey, with hair, heels and attitude I’m through this damned roof. 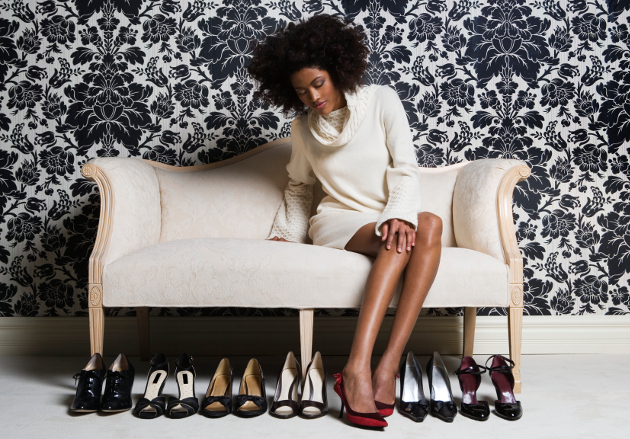 Nine out of 10 women wear shoes that are too small, according to the same survey. I never figured out what they wanted. But they were willing to pay a lot for it. In 1986, 12% of American women had shoe sizes 9.5 and higher. In 1994, that number increased to 17%. In 1998, 30.4% of all women’s shoes sold were size 9 and above. By 2000 37% of all women in the USA needed shoes above size 9. By 2005 the AVERAGE shoe size was size 9! At this rate….. Please explain why shoe stores stop carrying sizes above size 10? Is the shoe industry math challenged? A sample survey showed that 60% of women’s feet increased in shoe size since age 20. If you know more facts or quotes, please send them to us!